This all encompassing book on biochar, Biochar for Environmental Management, is edited by IBI Board members Johannes Lehmann and Stephen Joseph. 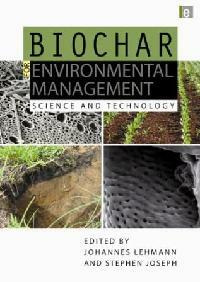 The volume explores a diverse set of aspects needed to advance the application of biochar for environmental management. Authors with expertise in the basic sciences as well as economics, marketing and policy summarize our current knowledge and provide a roadmap for future research and development of biochar. The second edition, published March 2015, contains a significant increase in biochar research and publications, in-depth news coverage, and a growing commercial industry. This edition of the text includes 31 chapters; not only substantially updated chapters based on information in the first edition, but also additional chapters on environmental risk assessments; new uses of biochar in composting and potting mixes; the effects of biochar on soil carbon cycles; changes in water availability and soil water dynamics; recent discoveries on historical biochar use in the Amazon, Africa and Asia; and sustainability and certification. The book continues to represent the most comprehensive compilation of current knowledge on all aspects of biochar. The publisher, Earthscan, is offering IBI dues-paying members a 20% discount off the purchase price as well as access to a digital version of the preliminary pages and the first chapter accessed by logging into the member’s only area. To read more about the publication and order a copy, see https://www.routledge.com/products/9780415704151. 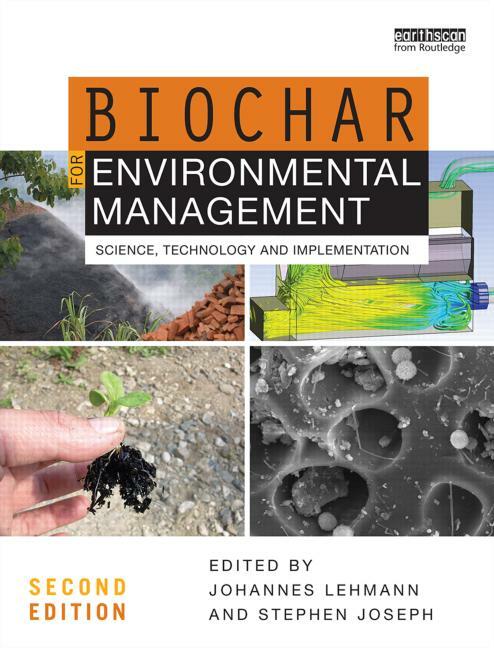 The first edition, published in 2009, explores a diverse set of aspects needed to advance the application of biochar for environmental management. Authors with expertise in the basic sciences as well as economics, marketing and policy summarize our current knowledge and provide a roadmap for future research and development of biochar. IBI members have access to the full first edition as an electronic version by logging into the member’s only area. The Introduction, Foreward, and Chapter 1 in PDF Format from Earthscan Press of the first edition are available below. Click on any of the PDF files below to download the text.